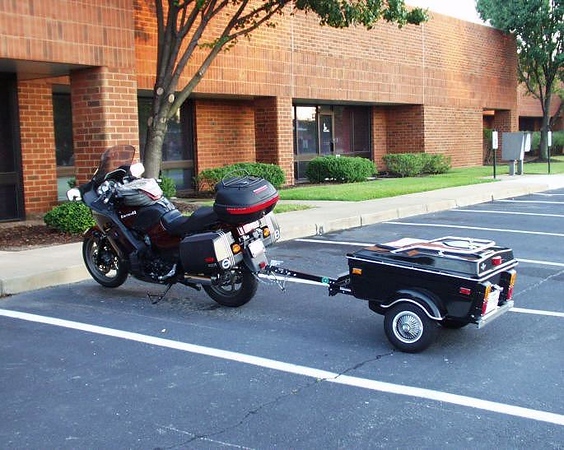 Looking for a trailer hitch so that I can pull a small trailer. Does anyone know who makes one? That's who I have, and it worked perfectly. Easily fixed by grinding away the interfering area. When I installed it way back when, some folks said they simply put the vertical hitch support UNDER the antler bracket. 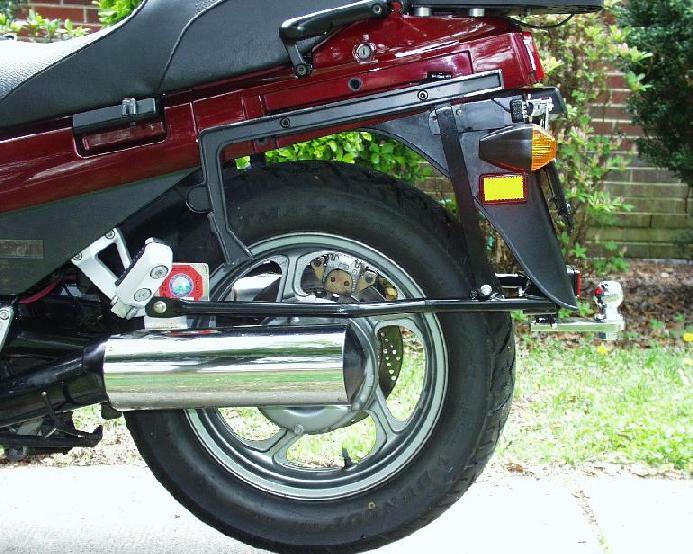 Screwz that, as it would put the bracket at an angle and not mounted flush to the bike's tail framework. 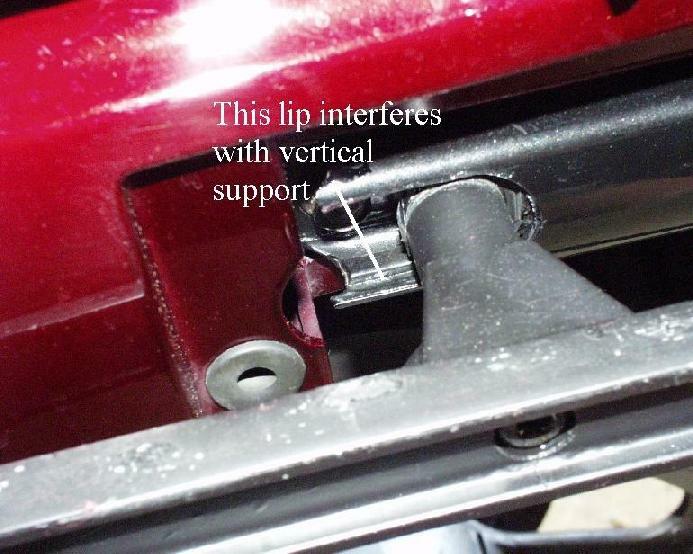 The second issue was the length of the bolt that secures the ball's vertical mount to keep it from rattling. Original was too long and would hit the tire on suspension compression. That too was easily fixed by installing a slightly shorter bolt. 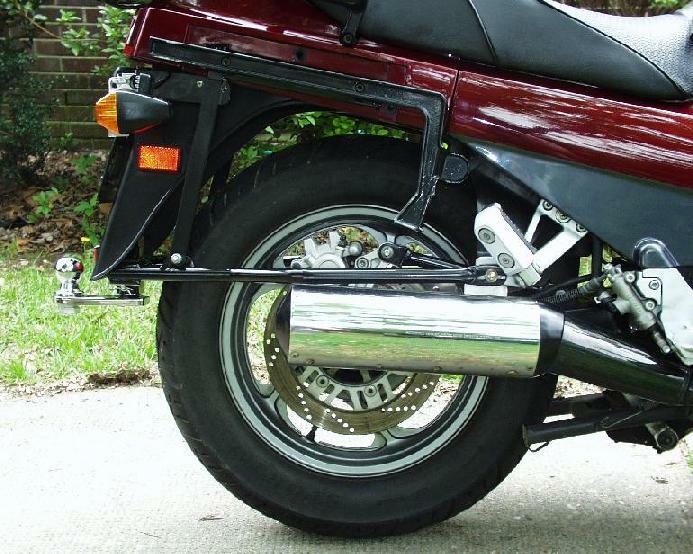 Finally, these pix were taken a number of years ago when the bike was a heck of a lot cleaner. Also, the hitch has since been removed because I couldn't us it with the Delkevic slip-ons I'm using now. Their upswept angle interferes with the hitch. 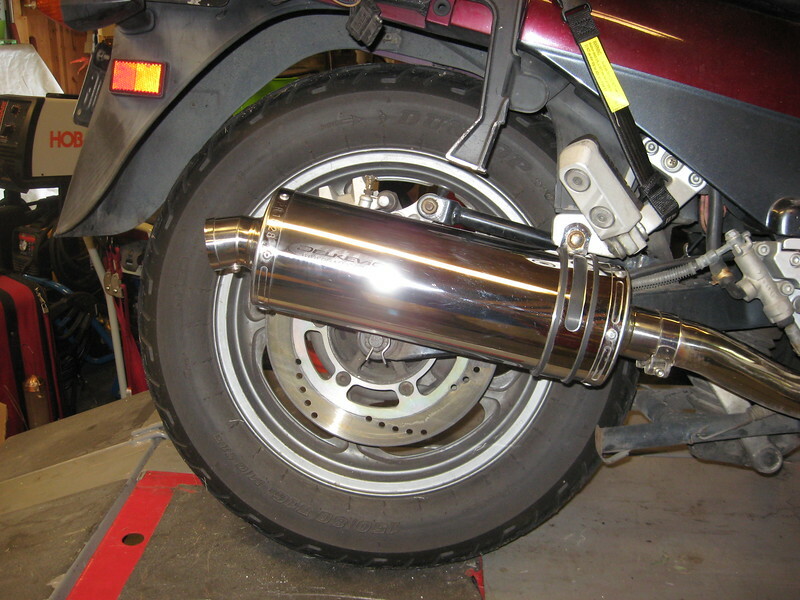 If you are still looking, we have a local COG'ger who removed his hitch and is selling. I can check with him and get you a price? 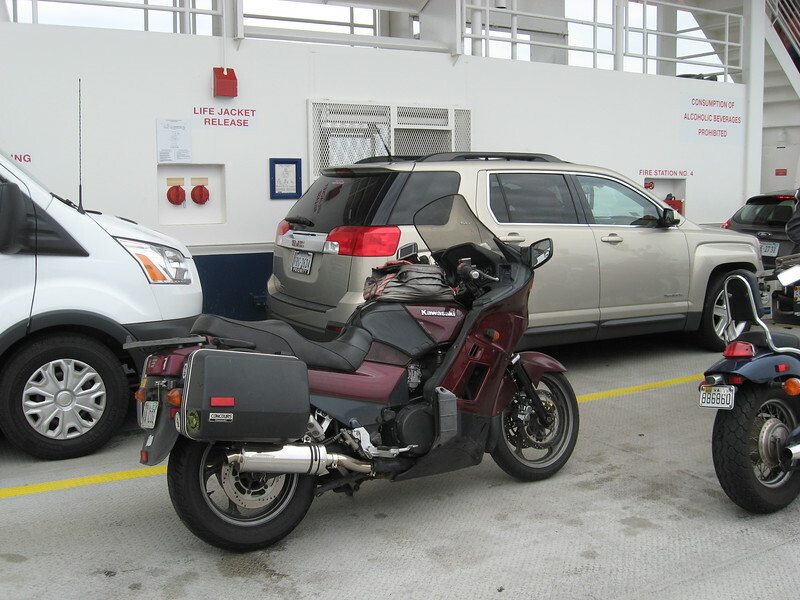 Not trying to hijack the intent of Vic’s post, but I’ve considered getting rid of my Hitchdoc hitch and the Cyclemate CM1000 trailer too. As much as I’d like to think I’ll be using it out and about on future adventures, the stark reality is I probably won’t. My crazy imbalance issue has curtailed a lot of my long distance riding, so the thing will just probably continue to sit here taking up space. Guess I’m just gonna have to flip a coin. No hi-jack Guy, still waiting to hear from my buddy. Hijack maybe ....but nice look'n bazoombas on that Connie in the 3rd and 4th pics! Nice trailer rig further down too. Could you pm me about this? Page created in 0.33 seconds with 25 queries.